One day I will get myself organized and set up an online gallery of items knitted with my hand-dyed yarn. I’d like to know what becomes of my “babies”. 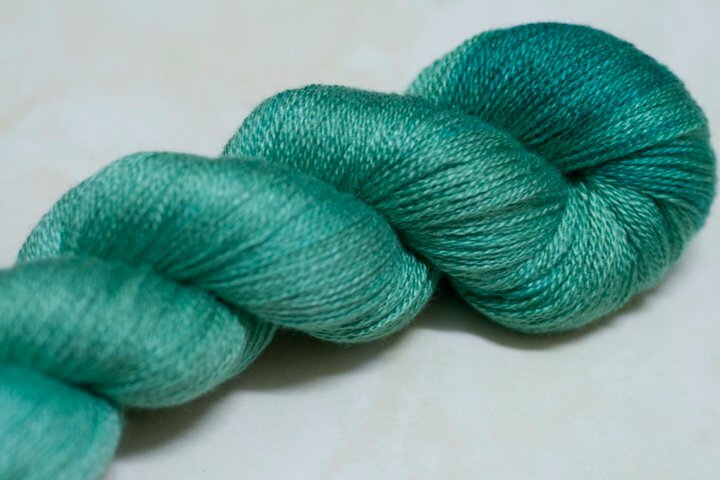 Like this skein for instance. I honestly could not remember when it was bought but I have a note on my trusty book that Kay bought it at one of the Amiras meetings. And she knitted a cute version of Summer Flies which she showed us last Friday. This is unblocked but I like it this way. The ruffles on the cast off edge are pretty. Well done, Kay! As for my WIP this week, it is the Plucky infinity scarf from Irishgirlieknits Design which I am test knitting. 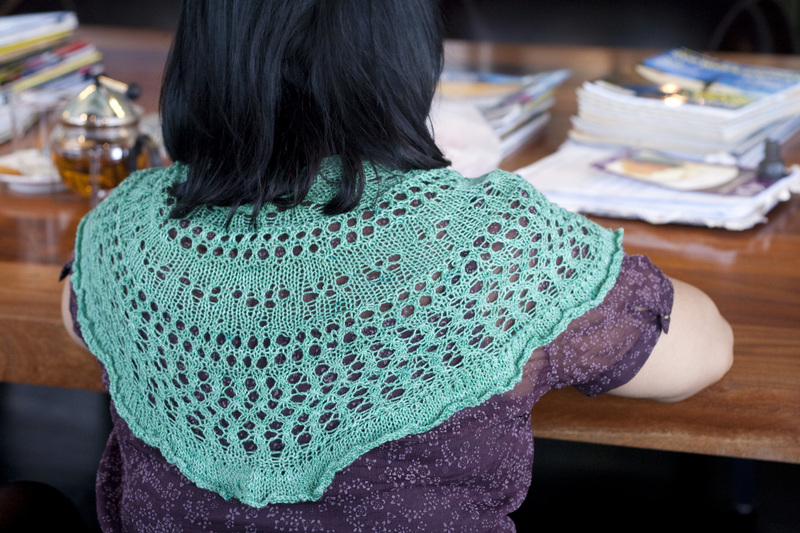 It is a soothing knit, only a small lace chart so you don’t have to stress too much about it. And the finished garment is going to be gorgeous, I know it. It’s Carrie and Plucky after all! I have knitted a few more rows since this photo was taken. I reckon I have another solid day of knitting to go. 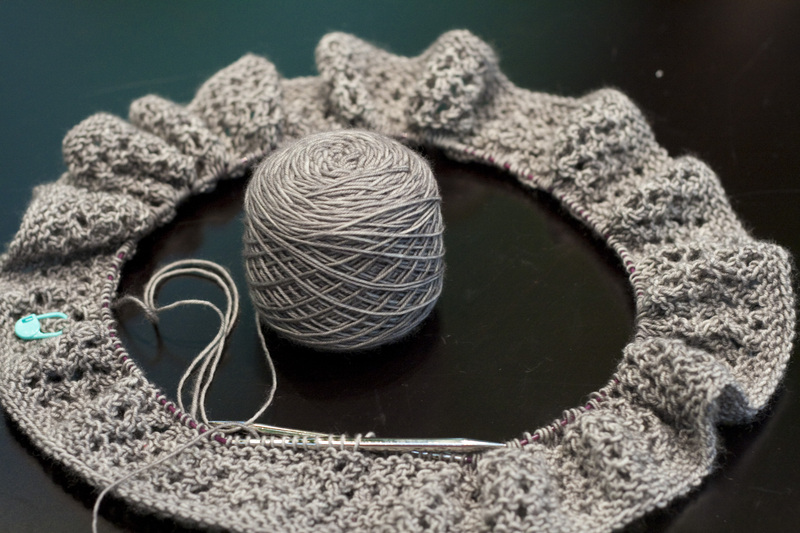 I think I will need to dig into the second skein of the Primo to complete this scarf, but that’s alright because I can use the remainder to knit a short pair of socks, or maybe a Little Shells shawl. Love the colors on each one! But then again, I love all the colors that you pick, very costal. That green is gorgeous and I love how it looks knitted up.